Antonio has a wonderful personality, he is a very easy person to talk to and is always here to assist you. He comes to us from the restaurant and customer service industry so he is no stranger to helping customers get exactly what they want and need. Stop in today and see him! Scott has been in the Auto Industry for over 20 years. 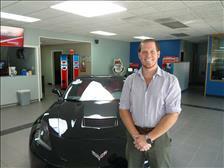 Scott has an extensive career in the Automotive Service Industry. Scott started his career Managing Transmission Shops, transitioning to Managing Full Service Automotive Shops which he has done for last 15+ years. Scott has recently joined our team bringing with him years of knowledge in the service industry, he is always happy to help with any of your service needs! 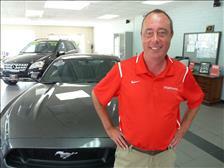 Steve has been in the auto industry for nearly 30 years! 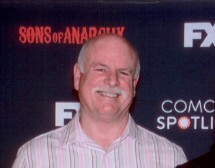 We are very pleased to have Steve here as a member of our staff. Always sporting a smile and upstanding attitude Steve is always here to help you in any way that he can. Jim lives here in Greensburg and has been with Flannery Cars since inception. He has held numerous positions in the company and continues to oversee most of them, including vehicle purchasing, sales, finance, and service manager. He is happy to help with any customer or employee needs. Jim has an extensive career of over 30 years in the automotive industry. 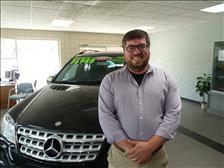 He has held numerous positions at other dealerships, including those in sales, service, finance, and management. In 2009, the opportunity presented itself for him to open his own business and he did so with pride. Over the past 6 years, the business has grown and expanded, moving to a new location which better serves our customers. 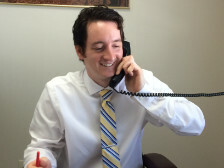 We're thrilled to have Tim on our team full-time after graduating from The University of Pittsburgh! Tim helps out wherever needed, in the showroom or the service department. A smiling face who's always happy to help a customer with any need at all. From the moment you step on our lot until the time you drive away in your next car, your buying experience with Flannerycars.com is our number one priority. We encourage you to use the expertise and resources of our sales staff; they are here to help you find the right car at the right price. Call us today at 724-691-0200 to schedule your test drive!